In 1963, Alfa Romeo released the Giulia Tubolare Zagato (GTZ) and so began Alfa Romeo’s renaissance in motor sports. The GTZ was formidably light and blindingly fast. Gear changes from 4th to 5th at 110 mph were easily wrought. The display car was the most successful car of the four GTZs entered at Sebring in1964 by factory-aided Scuderia Saint Ambroeus. Chuck Stoddard and Jim Kaser won the 1600 GT class in the annual 12hr race. 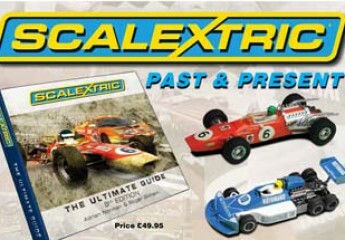 Scalextric, in 1968, released their model of the GTZ in 1/24th scale under model numbers 124/100 (Super 124) and 124/602 (ACE 124) only along with a Jaguar E type, a Lotus 38 and a Ferrari V8 158. Blue or red were the two colour choices and the ACE version, 124/100, had crude working mechanical brakes. There are no known variations to these models.